Geekosystem has the bizarre, fascinating story of a pair of conjoined twins who have a partly shared brain. There’s a bridge between the thalamus of each twin, which is where sensory information is stored. Apparently this allows the girls to do things like pick up objects that are not in one twin’s field of vision, but are clearly visible to the other. It’s possible that they may share thoughts as well, but until they grow older and acquire more language skills, it’s not totally clear what they’re feeling. To read the full post, click here. On Mediaite today: 2010 is apparently the year of the Unceremonious Firing of Pundits, as Keith Olbermann joins the illustrious list of those “suspended” from their networks this afternoon. Olbermann has come under scrutiny for making donations to Democratic candidates without getting prior approval from MSNBC. While in the past the network has turned a blind eye when it comes to Olbermann, it looks like those days are over. Ruh roh! Get the full post here. On Styleite today: Elle’s December cover is looking a little weird. Jessica Alba is featured wearing shorts and a pink tweed top, with what looks like a swimming pool in the background. It’s a bright, cheery image, and while Alba is a little bit washed out she also looks more fresh-faced than we’re used to seeing her. But the lighting and backdrop don’t really say “winter”, unless it’s a very weird joke about global warming. See for yourself — get the full post here. 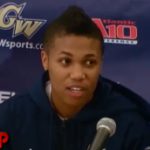 Sportsgrid has an interview with the first ever transgender Division 1 basketball player. 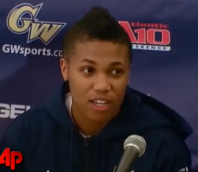 Kye Allums has identified as male since his freshman year, but plays for George Washington University on the women’s basketball team. He’s prevented from taking hormones or opting for surgery by league rules, but he’s still on track to make history when the season begins on November 13. To read the full post, click here. On Gossip Cop today: unsurprisingly, Perez Hilton is too busy blogging to read very many books! He captioned a shot of Sandra Bullock in New York leaving to work on her next film “Extremely Loud and Incredibly Close” thusly: “The movie also stars Tom Hanks and is based on the book ‘Moneyball and True Grit.’” Whoops — it’s actually based on the book “Extremely Loud and Incredibly Close”! But it’s easy to see how one could get mixed up (no, it’s not). Get the full post here.